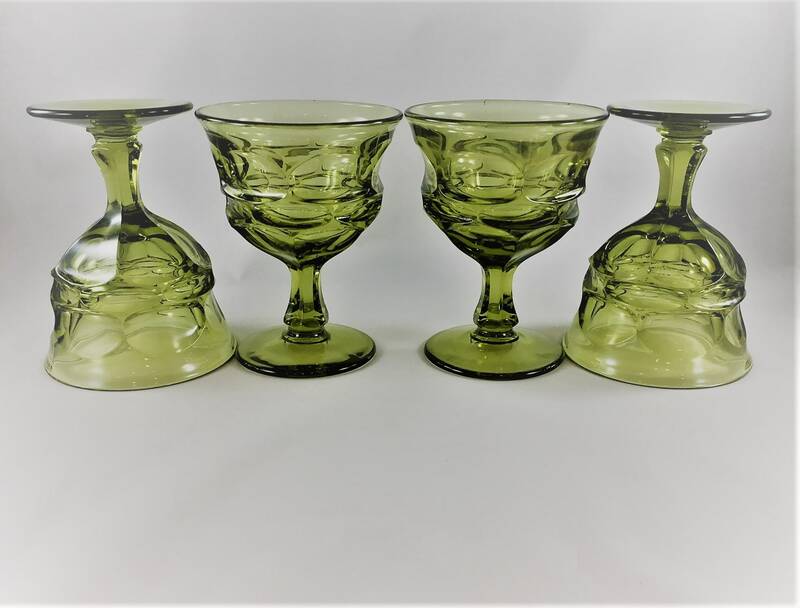 Featured is a wonderful set of four vintage green champagne glasses or tall sherbet glasses from Fostoria. 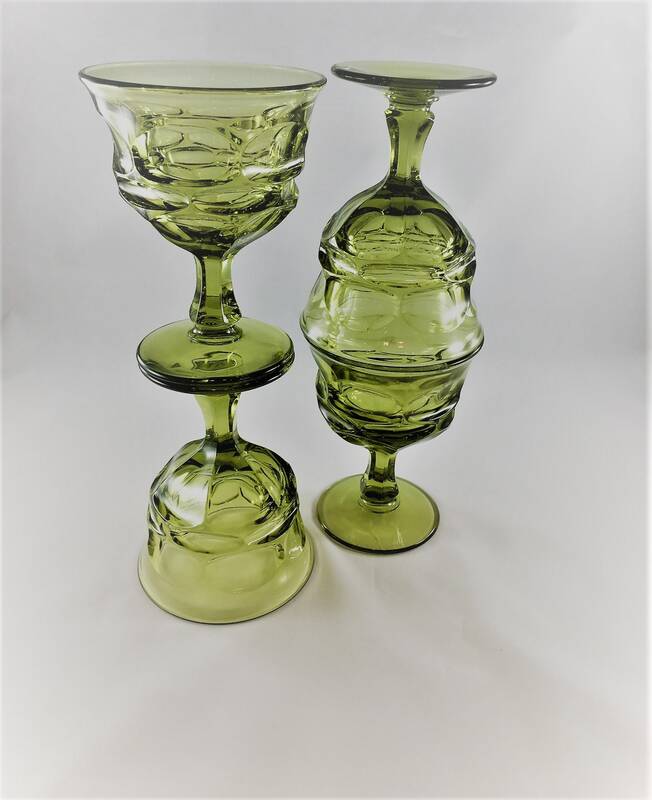 These heavy pieces measure about 5 1/82 inches tall and 3 7/8 inches in diameter at the rim. 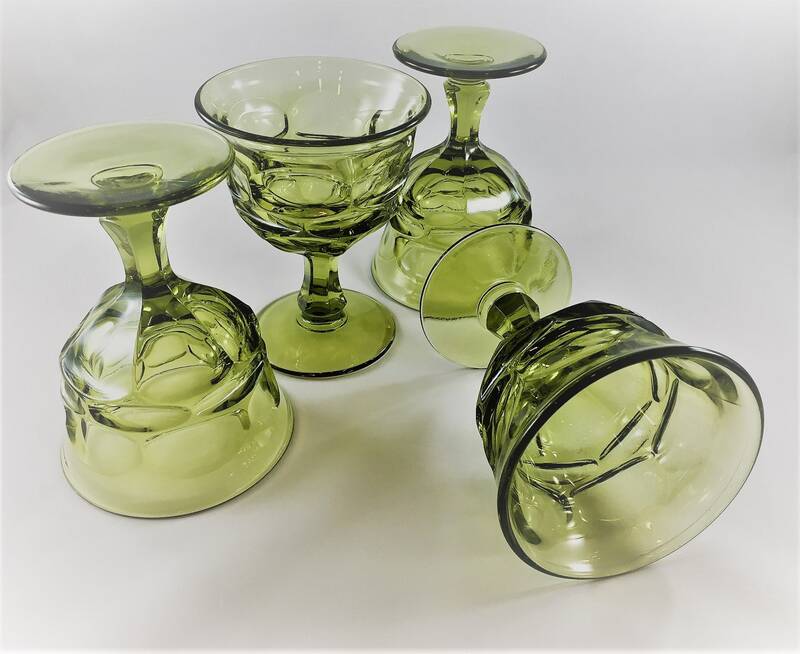 They are in the classic Argus pattern that went into production in 1963. 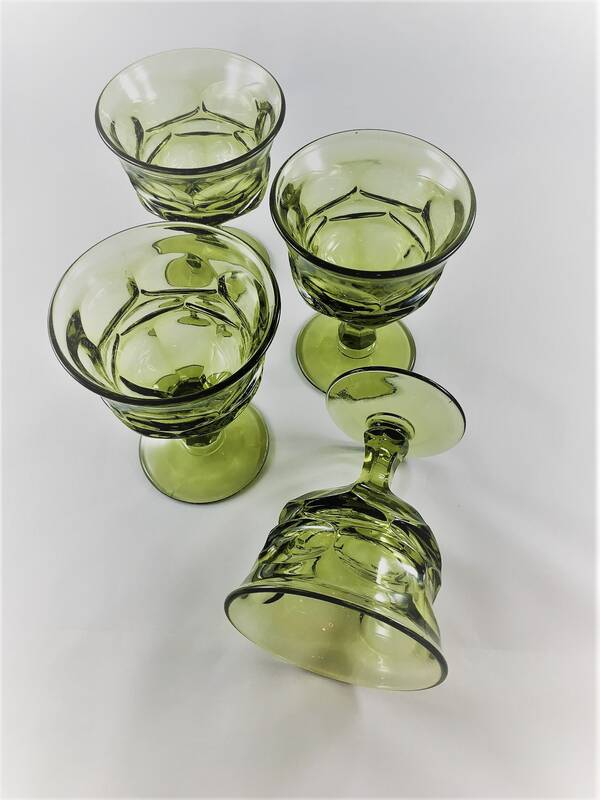 These pieces are in excellent condition, free from any chips or cracks. All four offered here for one low price.